Continuing the examination of cities founded by spell casters by class, now it's the cleric's turn. There are plenty of real-world examples of cities founded by faith like Göbekli Tepe, Harappa, Ur, Jerusalem and Teotihuacan to name but five. Magic serves as a force multiplier. While domain spells expand the options available, there's enough variation in the core spell list for now. Temples will dominate the skyline. Clerics who run cities are very clear about who's in charge in town, building to inspire. 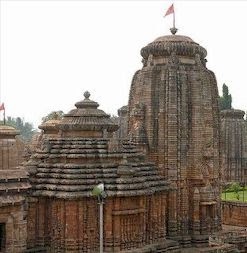 Civic buildings are linked to the temples unless unless the city was taken by holy sword. Then a separation is kept. Rebels sacking temples never ends well. The temple is ruined and the gods are angered. Temple districts are large parts of a cleric's city and civic infrastructure is better compared with other cities. Temple roads and sewers are well-maintained. It's hard to feel pious dodging chamber pots. This also reduces the need for divine rescue from disease. Combining both may work best and keep unorthodox dungeoneering firebrands in line - much like latrine duty. Consequently wealthy or influential people may seek to stay close to temple districts to improve links. The temple may ordain tithes or spells for city maintenance. Depending on the faith, certain spells may be requested by city ordinance from visiting faithful. The city's fabric is influenced by the dominant faith. Domain powers may indicate where influence may touch the city. Gods of war command excellent defences. Solar deities favour architecture as calendars or sundials. Gods of love found bathing houses and parks. Further from the temple district, this influence may fade or be subverted particularly in some neighbourhoods. Clerical cities draw in trade. Pilgrimage provides a divine reason for travel. Diplomacy comes easily to clerics with guidance, comprehend languages, augury, eagle's splendour, zone of truth, sending and tongues. The need for silver to perform certain spells and create holy water make this commodity precious. Without silver, the temple must find alternatives or restrict things players assume are sold. Lycanthropes have a field day in this case. Trade with planar allies may provide things unavailable elsewhere. Alliances with janni may yield otherworldly materials taken from the planes. Other genies, especially djinni will create wonders. Trade with the outer planes has it's own risks. Dismissal may sometimes be useful. Apart from the above, the following may appear as features in a theocratic city. Agriculture is supported by create water, guidance and purify food and drink at low levels. Create food and water for beasts of burden, locate object for water or salt, control water and repel vermin will help save harvests. Architecture may be created or enhanced by divine magic. Construction may be aided by stone shape or wall of stone. Enhancement by consecrate, make whole, continual flame or hallow is possible, as is defence by glyph of warding or symbols. Festivals to celebrate the faithful may create food and water to sustain the poor. Conspicuous divine magic reminds citizens who's in charge. Sermons enhanced by enthrall or calm emotions are held to impart the virtues of the faith and suppress riot. Infant and maternal mortality are diminished by healing spells. Depending on the faith, this may be limited amid the faithful and wealthy or given to as many as possible. Disease and poisoning may also be challenged. Clerics who heal are natural midwives even at low-level. Monuments to the faithful - including sepulchres - are tended. Continual flames are lit for the lost. Art and statues of faithful servants prevail. Dwarves and gnomes take this to whole new levels. Stockpiles of holy water, scrolls, potions or even wands are kept for emergencies. Clerics are wise, this reflects that. Tithes and taxes offset cost to citizens. This is repaid by festivals and ceremonies. Summoned monsters and planar allies help in war and in agriculture. In good cities, aasimar and half-celestials appear, in evil cities, tieflings and half-fiends will be evident. Undead are used as disposable labour in evil cities. The threat of servitude after death to evil theocracies may keep unruly citizens from armed insurrection. After all, there is no parole.